The vampire facelift: yay or nay? Sorry but the only vampire I get excited about is Edward Cullen. The vampire facelift is all the buzz since Kim Kardashian had a vampire facial on national television. A dermaroller with microneedles made tiny little holes in her skin and then her own blood was placed in those holes. Her skin is beautiful but I’m not optimistic that’s solely because of her vampire facial. Who knows, maybe it is. 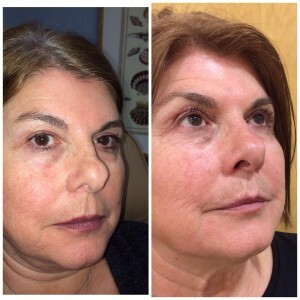 The vampire facelift claims to be a combination of steps to make your skin rejuvenated. The first step is drawing your blood and putting it into a centrifuge to separate the parts of your blood. While that process plays out, you will be having hyaluronic acid injected into you-that’s juvederm or restylane. After your volume loss has been corrected with the filler of choice then they take the plasma part of your blood and inject it into your skin. 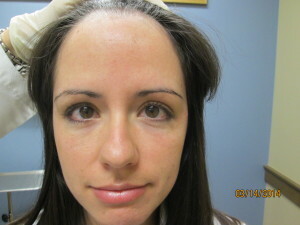 On www.vampirefacelift.com they call this third step “injecting the magic into your face”. That just sounds awesome. No seriously, I would expect to have Harry Potter powers after that. I believe in magic. It’s called platelet-rich plasma rejuvenation. Theoretically this part of your blood is high in growth factor which then produces collagen resulting in a more youthful appearance. So what’s wrong with that, right? According to an article in medscape http://www.medscape.com/viewarticle/759592 “the efficacy and safety of PRP for cosmetic treatment have not been studied in controlled clinical trials.” Well all the FDA approved fillers that I inject have been studied in controlled clinical trials and are proven to show effects. Since they use one of these fillers in the vampire facelift, I’m sure people see some results in volume loss. What I don’t know with complete certainty is whether or not having the PRP part of the procedure is making any difference? So why go through the process and pay for that extra procedure called PRP on top of filler? In hopes that it works I guess. In hopes that it’s a procedure that will turn out to be awesome and it’s not just a gimick. In hopes that the results are worth the money. I rely on science, research and evidence and I can’t spend my tax return nor my savings on a hope. If I rolled like Kim K and Kanye then I might be able to give it a try. Maybe one day with more research and experience I will be using the vampire facelift on patients. Until that time comes, if you’re like me, you’re wondering “what is the newest advance in technology that’s cutting edge AND evidence based?” In my opinion it’s Voluma. Voluma is the most recent FDA approved hyalurinic acid filler. I’ve been injecting it since it hit the US in November and the results are pretty ahhhmazing! What’s the best part about Voluma? I can’t decide.Maybe that it’s so smooth or that it’s easy to inject. Oh, and did I mention it lasts up to two years?!?!?! I don’t know where this quote is from but I love it and it sums up how I feel about the vampire facelift. “I’m not interested in competing with anyone… I hope we all make it”. I don’t think the vampire facelift can compete with the fillers because part of the vampire facelift is filler. I don’t know if the PRP part makes your results better. In fact, I don’t think anyone knows on a level with which I’m satisfied. But, for the sake of all our youthfulness, I hope it does turn out to make the cosmetic world a better place! Until then, I’m gonna stay on the brink of research and on the look out for products proven to keep all our skin young and beautiful! 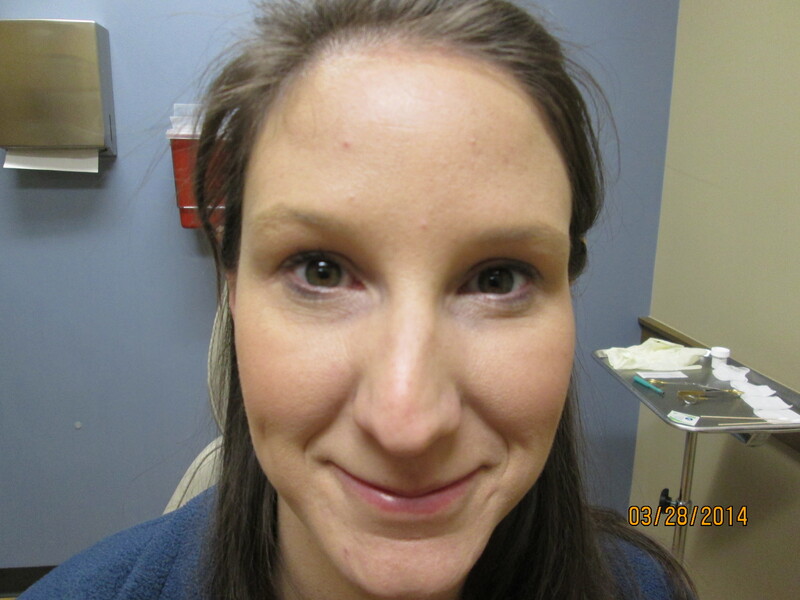 Here are some before and after pics of a lady I injected with Voluma whose inner beauty is just as rad as her outer beauty. Left is before injection in January. Right is last week. 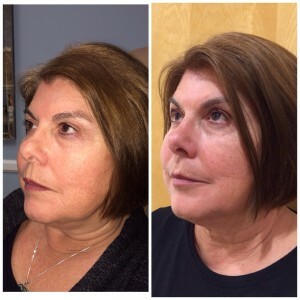 Notice the volume replacement under her eyes and how lifted her jowl is! 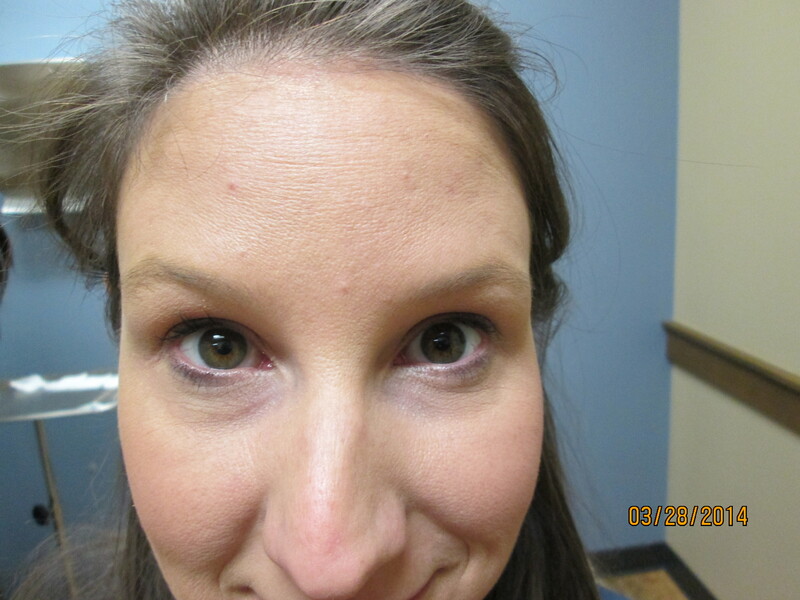 Left is before injection in January and right is about 3 months after voluma. In this picture notice the curvature in HER left cheek (it’s on the right in the picture). Notice how much “flatter” she was prior to injection. Her right jowl is lifted beautifully as well. Hope to see you all at the clinic this week. Remember you’re gorgeous so let it shine out through your skin this week! I hear it almost everyday, “I don’t want my face to be frozen” or “I don’t want to do anything that drastic”. I’m not sure where all these negative connotations against Botox started. I don’t think Botox is for everyone but I am here to tell you there is no moisturizer or prescription cream you can put on that does what Botox does for lines or wrinkles you don’t like. Although there is a topical botulinum toxin type A in the works who knows when or if it will ever hit the market. 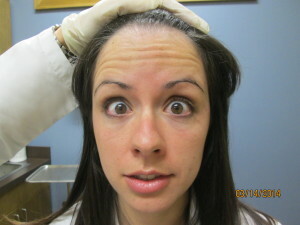 So this week I hope to bust the myths of Botox, Xeomin and Dysport. Plus, to prove it looks natural I have some before and after pics, yay! MYTH-You will lose expression in your face. The botulinum toxins will relax the muscle. We inject it into the muscle and it blocks the nerves from sending messages to the muscle to move. I can still squint in bright lights, raise my eyebrows, smile, laugh and scold my daughter after injections. MYTH-Your injecting a toxic chemical into your body. Botulinum toxin is a natural occurring protein. I guess this myth depends on your definition of toxic. Tylenol works by blocking an enzyme called cyclooxygenase. Botox works by blocking release of a neurotransmitter called acetylcholine. They both cause “harm” to a process in your body which then results in a desired effect. MYTH-Xeomin and Dysport are “offbrands”. 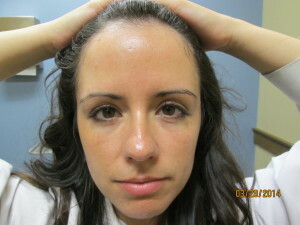 There are three FDA approved botulinum toxin type A which are offered in the US. None of them are considered “generic”. I describe them as Coke is to Pepsi. Some people like coke, some people like pepsi. Botox has been around the longest and is the most predictable because of that fact. Xeomin has less inactive proteins then Botox making it a purer product, which is theoretically a good thing. Research shows they are generally equal BUT do you consider coke and pepsi equal? No you probably like one better than the other. In my experience Dysport spreads a little more which can be good or bad depending on what your goals are. I offer all three products and I’m available anytime you want to chat more about their differences. MYTH-Botox will make my lips bigger. There is a very big difference in botox and fillers. Botox relaxes the muscle so you can’t make lines in motion on your skin. Fillers replace volume loss and fill in lines at rest in your skin. Often time both of them together can be the best result! MYTH-I only need Botox again when its completely worn off. 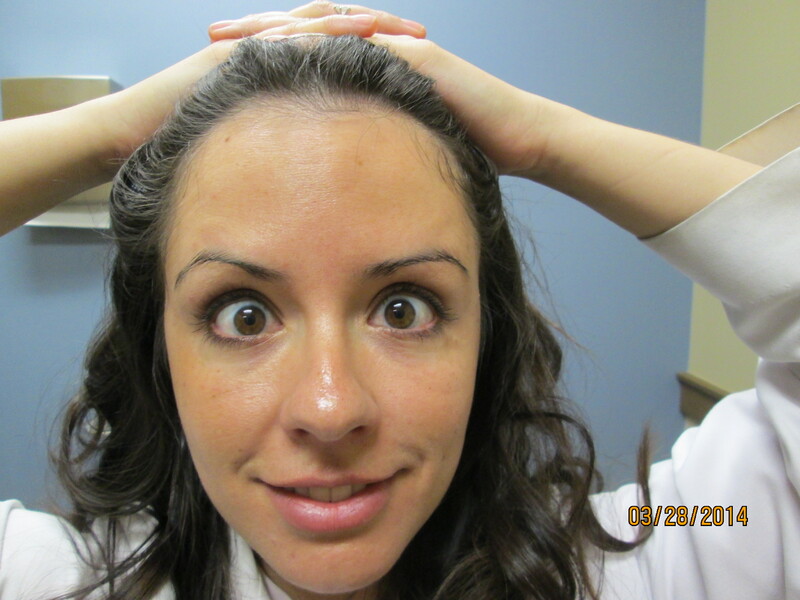 Botox lasts up to 4 months. Some women tell me it lasted 3 months and some say 6 months, there is some variation person to person. You should make your appointments every three months just like you schedule hair appointments. You don’t let the color on your hair grow completely out, you color when you start seeing roots. 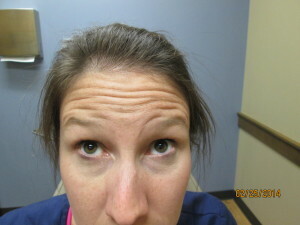 Be diligent with your Botox don’t let the muscle get completely back to motion so you aren’t starting from square one. Over time that muscle will atrophy (become weaker) and you get even better, longer lasting results. Next weekend is the big cosmetic event at Johnson Dermatology. April 12th from 10AM-noon. We will have special prices on all injections! Botox, Dysport, Xeomin, Voluma, Juvederm Ultra Plus, Radiesse, Belotero and Sculptra all discounted, can’t beat that! We will also be revealing a new service at Johnson Dermatology that I am giddy about, so be the first to know! You need an appointment so hurry and make one, it’s gonna be too good to miss. GIVEAWAY: If you share this blog post and comment shared below you will be entered to win an ELTA MD gift package. Elta MD carries my favorite moisturizer and spray sunscreen, this is an awesome prize. We will announce the winner on Saturday so get to sharing! Here are some before and after pics for your enjoyment! 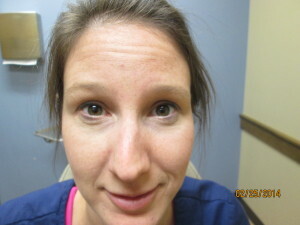 Raising eyebrows prior to Botox injections. Raising eyebrows two weeks after Botox injections. With an added smirk. At rest two weeks after injections of Xeomin to crows feet, glabella and forehead.